His title rival Sebastian Vettel by contrast has won here on four occasions and he and Ferrari can take some hope from that at Suzuka's close cousin Silverstone it won and was at least right with the Mercedes on pace. So F1's consensus view about Mercedes's advantage at this sort of track may be a little outdated. As a more general pattern F1 outcomes haven't all that often conformed to the advance logic in 2018. 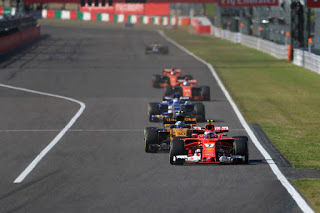 Ferrari may be able to count on its other car getting into the mix too, as flowing tracks are very much Kimi Raikkoen's happiest hunting ground. This track also was the scene of possibly his greatest drive, albeit that was 13 years ago (just where does the time go?). Last year an off in practice got him a grid penalty for a gearbox change, then he sank further to P14 after running off on the first lap - though his progress from there was pretty good, to finish fifth. But just as in Russia these points may all be rendered moot by Ferrari's more general bewilderment of recent weeks. There was a time in the not too distant past that Suzuka meant a nailed on Red Bull victory. It was (and perhaps still is) untouchable in medium to high speed aerodynamic stability that a premium is put on here. It won here four times in five visits between 2009 and 2013 (which account for Vettel's four wins, for what it's worth). 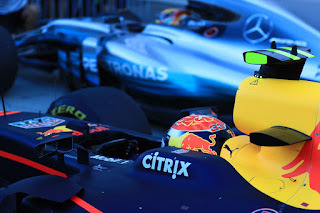 Boss Christian Horner said recently though that Mexico is the team's only realistic remaining chance of winning this year. 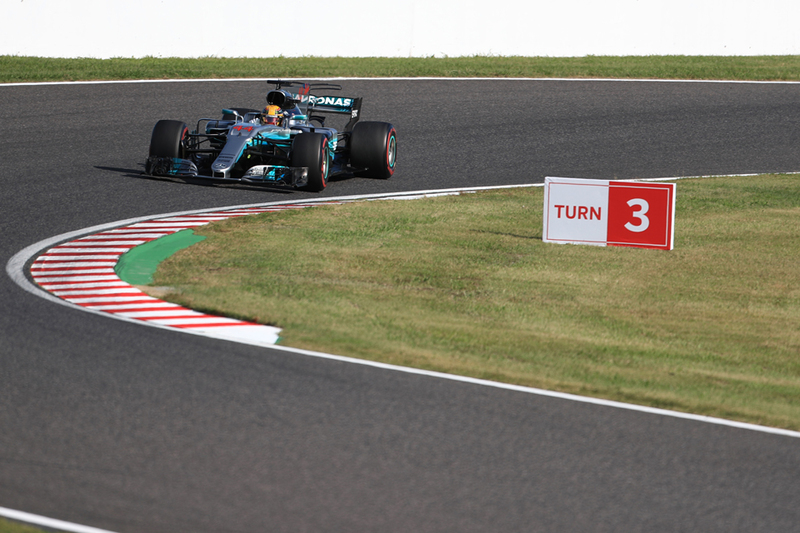 Suzuka even with what has been said still has plenty of full throttle zones, not least between Spoon curve and the chicane at the end of the lap. As at Silverstone, Red Bull may find that what were once challenging turns that would set the Bull apart are now in effect straights which will also set the Bull apart but not in such a good way. Still Max Verstappen has been in mighty form lately and last year here he ran Hamilton very close in coming second. As for the rest, it may be worth keeping an eye on Haas. It was clearly best of the rest on pace at the family relation of Silverstone as well as got a double points finish here last year in an age when such a thing was unlikely for the team. 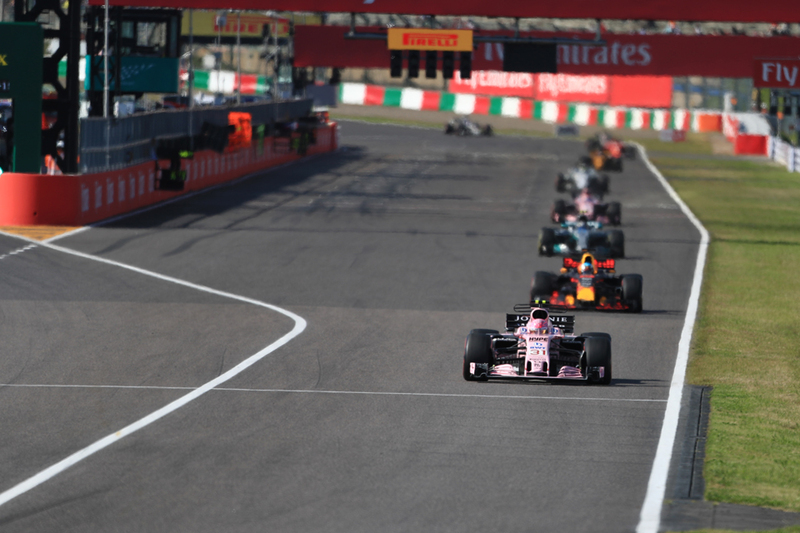 For all of the Suzuka circuit's charms one drawback is that overtaking is not straightforward. There isn't an obvious passing point plus it's not easy to follow cars ahead through its various long corners. Qualifying and turn one counts for a lot therefore - complicating the latter matter though the fast and bottleneck first turn also is often the scene of carnage. For the reasons given drivers often take more risks than usual there. Lapped traffic can be an issue here too, with that matter compounded by that there isn't obvious places for backmarkers to get out of the way in the various esses sections. There may also be few in-race strategy options. 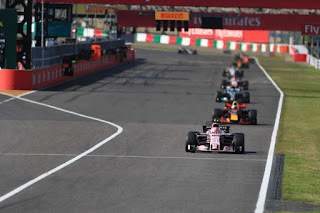 Races here historically have been multi-stoppers with tyre wear and degradation high thanks to the vast energy loads put through them in the long and fast turns as well as the required high downforce. However, as is often so, one-stop became the way to go last year. The difficulties in passing mentioned will also make competitors reluctant to stop more often than strictly necessary. Then again the one-stoppers last year were helped by virtual safety car periods giving the tyres a breather. The race may in fact become a tense strategic battle with the switch to a two-stopper always possible, which if employed other cars may feel obliged to follow. Also the undercut is powerful on this long lap while with the nearby things to hit and track access often difficult safety cars and virtual safety cars - as noted - may come into the reckoning. Where the gaps in the traffic are will also be a major strategy determinant. Nominally the same compounds are brought as in 2017 - the super-soft, soft and medium - though these compounds are in effect one softer this year. There's another local variable. Japan is synonymous with rain and Suzuka particularly so; plenty of running here is wet and indeed twice qualifying has been held on Sunday morning due to Saturday falling victim to weather. And the current word is that typhoons will hit the running this year. This, combined with everything we've said, really has the potential to put a cat among the pigeons. So there is in fact more to think about heading into our Suzuka weekend than we might have imagined. Which is rather appropriate.